Forrest Vosler was born on July 29, 1923, in Lyndonville, New York. He enlisted in the U.S. Army Air Forces on October 8, 1942, and was trained as an airborne radio operator at the Radio Operators and Mechanics School at Scott Air Field, Illinois, followed by aircraft gunners school, and B-17 Flying Fortress training. Sgt Vosler deployed to England in October 1943, and was assigned as a B-17 radio operator with the 358th Bomb Squadron of the 303rd Bomb Group. 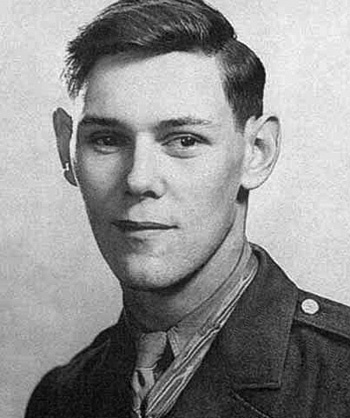 He was badly injured during a bombing mission on December 20, 1943, for which he would later receive the Medal of Honor. 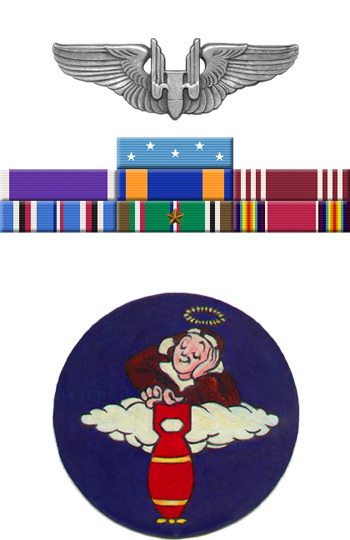 TSgt Vosler was honorably discharged from the Army Air Forces on October 12, 1944, and later spent 30 years working for the Veterans Administration. He died on February 17, 1992, and was buried at Arlington National Cemetery in Arlington, Virginia. Vosler Academic Development Center on Keesler AFB in Biloxi, MS, is named in his Honor.